The keylogger came bundled with drivers for the company's laptop keyboards. A security researcher has discovered that keylogging software has been pre-installed on hundreds of models of HP laptops inside the company's own keyboard drivers. The keylogging code was discovered by the security researcher Michael Myng while he was trying to control the backlighting on his HP laptop. The company has revealed that over 460 of its laptop models have been affected by the “potential security vulnerability” though it has since released a software patch to remove the keylogger from its devices. Laptops in HP's Envy, Pavilion, ProBook and EliteBook ranges all contain the issue and HP has published a full list of affected devices all the way back to its 2012 models. Myng was in the process of inspecting the company's Synaptics Touchpad software to figure out how to control the backlight on his own HP laptop when he first discovered the keylogger. Fortunately, the keylogger is disabled by default but if an attacker gained access to an HP laptop they could enable it to record a users' keystrokes. 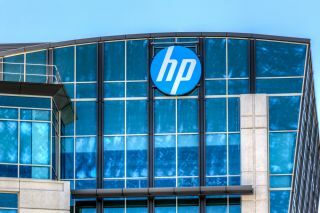 Earlier this year, a similar keylogger was discovered that came pre-installed in the audio drivers on several HP laptops though at the time, the company said that the software had been mistakenly included with the drivers. "HP was advised of an issue that exists with Synaptics’ touchpad drivers that impacts all Synaptics OEM partners. HP uses Synaptics’ touchpads in some of its mobile PCs and has worked with Synaptics to provide fixes to their error for impacted HP systems, available via the security bulletin on HP.com."